Don’t try this on your Metro Rail ride home please…. Lynda Day George can borrow my TAP card any day, btw…. Joe Linton takes a look at the recent draft document posted on Metro’s website that proposes to increase the frequency of some bus lines by cutting back others. Joe thinks there is merit to the concept but notes that the devil is in the details, which at this time are sparse. More info on the proposal will be released at a later date, I’m told. Until then, a friendly Metro reminder: nothing has been yet decided. In the wake of Wednesday’s clearance test — in which a train was towed to and from the Downtown Santa Monica Station — the Expo Line is scheduled to run a test today under its own power. Santa Monica officials are thrilled and say they will be encouraging people by getting around more via walking, biking and transit. A totally fair lament that there has been no effort to install bike lanes on Sierra Madre Boulevard in Pasadena to help connect to the current terminus of the Gold Line. Attentive readers know that this isn’t the first time this column has aired the complaint that Pasadena has done too little to connect cyclists to its six — count ’em, six! — Gold Line stations. Yes there are a lot of wildfires burning in the West — with Alaska particularly hard hit. Perhaps this map overdoes it, at least at a certain scale. That said, if climate change is the culprit and climate change bothers you, try walking, biking and the bus/train every so often to reduce your carbon footprint. As High Country News notes, the wildfire season hasn’t broken any records. At least not yet. If you haven’t been to the Special Olympics yet, swing by an event Saturday — admission is free and I’m sure the athletes and their families would appreciate your support. 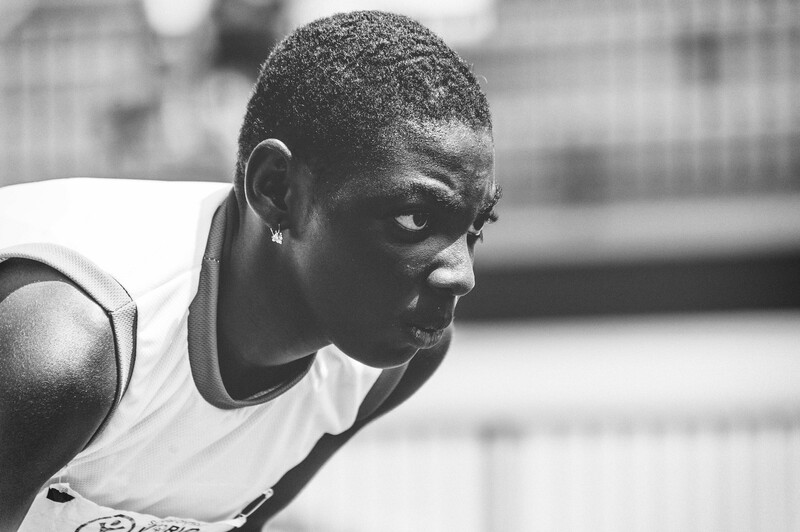 Below is a photo of Marie Ohouo of Cote d’ivoire participating in the long jump this morning at USC. That’s it for this week. This column will self-destruct in five seconds. My non-transportationy blather is on Twitter and Instagram. The idea of more frequent bus services in high transit routes to gain load factors was a topic covered by the APTA peer review panel that was given to the Metro Board earlier this year. I agree it’s a step in the right direction to maximize load factors, as was the recommendation of APTA. 1. Reduce the number of seats to increase standing room space to maximize the number of passengers per bus. As was mentioned earlier this year in the APTA meeting, adding a bus at peak periods is the most expensive solution out there and is not the best way to go for an agency like Metro who faces budget shortfalls. The other way to look at this is to reduce the number of seats on each bus and rail to gain aisle space so that more standing passengers can be put into each bus or rail. Not everyone needs a seat on the bus or on our Metro Rail system. The average bus ride on Metro, as mentioned by former CEO Art Leahy is only 3 or 4 miles, about 12 miles for Metro Rail. Seats should be kept to a minimum, mainly for the elderly, the pregnant, and the disabled. Unless one is travelling over long distances or in a concessionary group, everyone else is healthy enough to stand for a short trip. More standing room space means more load factors than having the space being taken up by seats. 2. Look into distance based pricing for Metro buses as a form of crowd control. If the average Metro rider travels only 3-4 miles on a bus, then that means Metro’s objective is to keep spaces open for the bus and rail for multiple passengers doing quick hop-on and hop-off trips and cater to this market rather than having the bus filled with those who travel long distances. All too often we see buses passing passengers by because the bus is too full. But obviously, the bus will get crowded if everyone pays the same fare, that in which the better deal is for passengers with longer trips. The best way to do that is to implement some sort of distance based pricing system so that those with longer trips have to pay more than those whose trips are only 3-4 miles. It’s more logical that those who travel longer distances is using Metro more and should be charged more for the sake of crowding up the space that short trip passengers cannot get on. 3. Raising fares, higher taxes, in addition to service cuts is NOT an acceptable solution. Disagree with calwatch written on the LA Streetsblog article. It’s the same old, same old solution that doesn’t work and hasn’t worked. It’s a never ending cycle that eventually is doomed to failure. We cannot keep jacking up fares, we cannot keep imposing higher taxes, and we cannot keep cutting back services. Who wants to pay more for worse service? Why should people pay more taxed for a job not well done? What we need are real, comprehensive solutions instead of trying the same old methods. We can try a different fare collection method, such as distance based pricing which has proven to work better in Europe and Asia. We cannot apply San Francisco and New York logic here in a transit system that has to cover the entire LA County system. We can rather seek another approach to gain tax revenue by opening up our train stations to retail. The more people buy, the more sales tax revenue LA County gets. Metro riders are consumers too, and if they have retail right at the train station, people will buy stuff. When people buy stuff, the more sales tax revenue is collected. The RTD tried less seats on a fleet of buses it purchased. Double seats on one side, single seats on the other. It was a failure in less than a year. Passengers want to sit down and will physically fight over seats. If one rides the 217 on Fairfax on a daily basis elderly men and women fighting with one another over seats. What do you suppose would happen on the Wilshire Line or Santa Monica Bl.? Distance based fares also used to be a reality here. I’m not sure of the current fare collection system can handle it. It’s not a internal bus by bus system but the data is transmitted to a central computer. The MTA already collects data as to how many passengers are on the bus at all times and if it’s on schedule and on the route of the line. In addition mechanical data is collected minute by minute. Now most passengers are aware of fare box break downs, would the additional data be as reliable? While some agencies in Asia may have developed a distance based system, do they collect the other data which the MTA uses as well? If my memory serves me well, there are five computer systems on each bus just to keep it running. And I’m actually old enough to remember that. But, bear in mind that the RTD became defunct over 22 years ago. To you and me, the 1990s may have seemed like yesterday. I’m sure back then, there were more passengers taking longer trips than short ones, especially when we didn’t have a light rail system that could hold more passengers. Buses were pretty empty for the most part too as gas was cheap and LA wasn’t this crowded as today. LA has changed a lot in the past 22 years. One for which we added 2 million more to our LA County population compared to 1990. In 1990, the corner of Wilshire/Western didn’t have a Metro station and a Thrifty’s Drug Store stood there, there was an ARCO gas station on the corner of Wilshire/Hobart. In 22 years, the landscape has changed dramatically where today there’s high density condo/apartment complex on both places. Today, more people ride the bus to do short trips, not long trips. If taking the word of former Metro CEO Art Leahy who spoke on record at the APTA fare review panel earlier this year, 80-85% of Metro riders are below the poverty line and the average Metro bus riders only rides 3-4 miles. One cannot just say “we tried that it didn’t work,” one should also be open to say “perhaps we were just too forward thinking at that time and it’s time to re-try that again because the data has changed.” If I recall correctly, President Jimmy Carter was way too ahead of his time to install solar panels atop of the White House back in the 1970s, only to be removed by Reagan when he moved in. Now flash forward to today, you hear many rooftop solar panel ads on KNX 1070. Have you considered that smartphones these days are being used to collect the same data and are being used for the past couple of years to pick up and drop off passengers by rideshare companies like Uber and Lyft? If it’s reliable enough for them to be backed by VCs with billions of dollars in capital, I’m sure it’s reliable enough for Metro. Considering Asian transit agencies are far more profitable, have better transit services, and have decades of experience in running transit servicing tens of millions of passengers every day, I’m sure they know what they are doing and already do. You want a counter on how many passengers there are onboard a bus? TAP-in/TAP-out. Five passengers came onboard (TAP in), one passenger disembarked (TAP out), automatically calculates through elementary school logic, how many passengers are on the bus at that time. Logs the time and the GPS location of the bus. Data sent over 4G/LTE. We’re living in an era where smartphones send out gigabytes of data, everyone streaming stuff on their smartphones, with constant live updates such as traffic and such. What surprises me is why Metro thinks we’re living in the 1950s and pretend they can run things the same way back then when so much has changed? If going by the usual liberal argument that’s often repeated “a couple of thousand of dollars used by Metro is a drop in a bucket” compared to their $5.5 billion annual budget paid by taxpayers, I say yes. Hey, if a few thousand dollars used for some artwork at Metro stations that will be in awe the first day but the next day everyone is back to staring at their smartphones is a “drop in the bucket,” why shouldn’t a scientific study be conducted? It’s science isn’t it? That’s what you like, right? Science? Data? Facts? The money to spend on such a study can easily be found by scrapping some artwork project that brings no real revenue to the system, slashing the pay of Metro Executives making six figure incomes for a year, putting a hiatus on wasting taxpayer dollars in renaming stations after politicians that no one cares about, redirecting some of the revenues from the highly successful ExpressLanes, etc. etc. And LA bears little or no resemblance to Salt Lake City either. Unless you can prove that a far large number of disadvantage minorities here in LA do long trips over short trips, your argument is moot. Somewhat logically, I doubt minimum wage earners live in McMansions out in the suburbs and commute 20 miles everyday to just flip burgers in LA. Somewhat logically, it is empirically derived from statistical data that the vast majority of LA County residents are renters in apartments and do not travel that far to get to work. Furthermore, we have the words directly from former Metro CEO Art Leahy at the APTA fare review panel earlier this year, on public record, in a statement said in the presence of Metro Board members, that “80-85% of Metro riders are below the poverty line” and that the average bus ride is 3-4 miles, 12 miles for Metro Rail. Somehow I doubt you know more than the former CEO of Metro and as it stands today, that’s is the best available data we have that a flat rate fare increase is actually DETRIMENTAL to the vast majority of Metro riders today. Ooh gee, a big chart, sooooo scary. Spare me it’s the end of the world! It’s so confusing to Americans that any elementary school children in places like Hong Kong and Seoul can figure out how to do. Quite frankly, we live in a world where everyone has a smartphone. Something like this can be easily done through a Metro app where people can just look up where they are getting on board, where they are heading to, and the fare pops up on the app. If the success of Uber and Lyft has shown, is that people really don’t care about consistency or ease of fares so long as they know how much it’s going to cost before hand. If people know beforehand through an app or a chart or whatever that it costs fifty cents to go to the neighborhood grocery store, a buck to go from Koreatown to DTLA and $7 to go from LA Union Station to LAX Airport, they’ll figure it out themselves. A different perspective is that most people who are already used to such systems could care less if they did because I wouldn’t even need to reference a chart like this. It’s not like people who ride BART, Caltrain, Metrolink, or the Washington DC Metro always looks at a chart like this whenever they board those rail lines. The most likely norm is that people will be loading up their TAP card with whatever amount they want, tapping in and tapping out letting the system deduct the fares based on distance automatically, and when it gets low, it’s set to auto-reload from a credit or debit card. It’s basically like filling up gas in my car. It’s not like I NEED to know how much I’m actually spending in gas per mile when I put gas into my car, right? I guess some “I don’t trust technology” folks maybe distrustful of it, but they can just log online and check whether their fares are being properly deducted at the proper per-mile rate if they’re so OC about it. The data is transmitted via smartphone, all the data. But how much data can be transmitted from each bus and rail station and be processed instantly using the devices available today. The agency buys a system and it’s supposed to be able to do everything proposed only to find out some aspects are not as stable as presented. This has been proved over and over again in Los Angeles by the MTA and other agencies including the police and fire departments. Fare box failures are common. The MTA/RTD have had two or three different electronic fare boxes. The one in use now is the standard in the industry. And every agency has had problems with them. So Tapping on and Tapping off sounds great except the fare boxes may or may not read the TAP CARD on it’s first swipe. Passengers are not going to stand-by to see if the Tap off was read while other passengers are waiting to alight. Boarding buses now takes longer, do we really want to see the dwell time to increase? I have witnessed on many occasions Asian travelers in Hawaii boarding buses. The entire process seemed strange to them. They expected the Bus Operators to give change and even with Visitor Passes they seemed lost. Speaking of the Olympics, maybe we can speed up the Purple Line extension completion date so that UCLA, which will be an important venue, can actually be accessible! Many under performing lines in the SFV and South L.A. I can’t see cutting many of these lines as being politically possible. In addition although some are poor performing lines they are the only service to parts of the county like line 534. One must be aware many of the low performing lines are feeder lines to major bus routes and rail. We have 10 million people living in LA County, a large majority using smartphones, streaming gigabytes of data each and every day over 4G/LTE today. You’re worrying about bits and bytes levels of data. Somehow I doubt data like getting on, getting off, time of day, GPS info is more data than downloading the recent episode of Game of Thrones from Google Play. Issues that a lot of countries from Australia to the Netherlands, from Singapore to Tokyo, and beta-testing in Salt Lake City have all do and yet, somehow manages to get their job done. If it works and is being done somewhere in the world with much success, then there is a solution to it. Metro’s job is to figure that out, not make up constant excuses over and over again and say no to it because they can’t figure it out. That’s not what the taxpayers are paying Metro employees to do. In the grand scheme of things, Metro’s main priority is to increase farebox recovery ratio and increase ridership. Dwell time is not a major factor and problems like these again, are solvable as it has been used in many number of cities all over the world who managed to figure out solutions to these problems. And again, it’s not Metro’s job nor are taxpayers paying their salaries to make up excuses because they can’t solve problems. See, the problem with you mike dunn, is that all you do is run away from problems, not confront them and come up with solutions. The buses/trains are dirty, so many cockroaches, let’s ban eating and drinking!!! More nanny state laws!!! Other cities, they confront the problems and solve them. Buses/trains are dirty. Is there any efficient way to clean them? I know, there’s a several minute window every now and then per day where the bus drivers or train operators can take a break. During that time while the bus driver/rail operator is resting with their union mandated rest times, we can bring out janitors to clean up the buses and trains! Guess what, that’s exactly what the Japanese janitors do. They can clean a dirty Shinkansen in SEVEN MINUTES while the Shinkansen takes a 12 minute rest stop!!!! If the Japanese janitors can do this, why can’t American janitors? Every issue you stated are solvable. We’re not talking about finding proof for the Riemann hypothesis to win the Field’s Medal. If it’s been done elsewhere in the world, then naturally, there must be ways of doing them. I challenge you to tell me how many programs you can download at the same time on your computer communicating with different sites within seconds , not minutes. This is all repeated and done with each bus continually. Bus Operation Control monitors service while maintenance monitors the buses physical operation( engine temp, transmission, etc.) As each passenger TAPS On that data is immediately transmitted. I’m sure you have observed passengers having to TAP more than once. Now your advocating those alighting holding up service while each passenger TAPS off. That increases the dwell time which in my opinion already hampers service. In addition I notice you fail to address the problem with the rear door TAP monitor being vandalized making it inoperable. Los Angeles has some of the worst streets in the nation. The constant pounding in my opinion causes many of the fare box failures but the ones in use seem to be the industry standard. It’s not MTA policy concerning eating and drinking on board, it’s the law. And now you want Service Attendants to meet buses a their layover. There are six different layovers just in the Hollywood area with ten different lines. Whom do you think are going pay for the additional personnel? And remember there maybe more than one bus on a line at each layover. And that so called break time is considered recovery time, not break time. You ride the bus one or two hours per day perhaps only five days a week. I on the other hand operated a bus ten hours a day and then went on to become a Road Supervisor working for the RTD/MTA for 31 years. I saw first hand the disregard many passenger had when consuming food and drink. I also remember cockroaches all over the bus. I actually carried bug spray to use at my layover which was probably against the rules. Is the MTA ran properly? NO!! The majority of those making decisions know nothing about transit. Great paper pushers, not alot of informed policies. Replacement terminals being built that can’t accommodate the number of buses scheduled. Although MTA was purchasing 45 foot buses a terminal was built in Hollywood that 45 foot buses could not maneuver in. Then we have Light Rail lines that are not connected. The only exception is the Blue Line / Expo Line. But at Crenshaw and Exposition the Expo Line and the under construction Crenshaw Line meet but can’t be connected because one is built at street level while the other is being built below street level. The same is true where the Blue Line and Green Line meet. Just by having alternate routes on each line an additional line could be created. I challenge you to tell me how it is possible then for banks, financial institutions, and credit card companies can conduct billions of transactions every single day across the entire world in many forms of payment methods ranging from landline POS terminals to Square devices and any person can log onto their account immediately through their smartphone and see that their amount was already deducted or deposited from their account immediately. Obviously that means the technology exists that Bank of America, Citibank, VISA, Mastercard, Paypal, etc. can do both upstream and downstream in the range of billions of transactions happening throughout the world in real time, whether it be one inserting a credit card into the TAP kiosk at a Metro station or paying for pho noodles somewhere in Vietnam, and if one chooses to do so, they can provide that their account has been properly deducted instantaneously. I challenge you to tell me how Google can provide searches in under a second from billions of Googlers all around the world inputting what they want to look for whether they be on a computer at home, a laptop at a Starbucks, a tablet, or a smartphone. Obviously, this means the technology exists that Google can receive billions of inputs being made by billions of people throughout the world, whether they are on their smartphone onboard a Metro bus or conducting a business transaction in Dubai, on whatever the device the person is on, and yet, Google can manage to re-spit back out their search result in a fraction of a second. Were talking about transmitting several bits of information not in several seconds but in one second. Just the location of a bus is transmitted as to it’s exact location every second of the day. And it’s all done with one smart phone device to several locations. I think you fail to understand different agencies set their priorities as to what information they require instantly. The idea of locating each and every bus within feet of it’s location is not used by every agency. It’s been proven that cell phones can’t show the exact location of their users but only the general location. But the MTA’s system refined those programs to do just that. Not only is it valuable to monitor on time service but in an emergency BOC knows exactly where the bus is at and if it is standing or moving. They can also monitor (listen in) if the bus is in alarm. So while agencies in Asia may have no problem with TAP ON/ TAP OFF monitoring it, they may not have a vandalism problem and sure as hell don’t deal with the amount of impolite riders on their system. And I’ll bet they are not running CNG buses exclusively which require five computers to keep the buses running and monitoring those buses continually. And while you claim how instantaneous one can communicate with ones bank or web site I’m sure you and the banks have experienced overloads and slow responses. This site alone does not post replies instantly. Bus of course one can blame the MTA for that as well. Perhaps you can enlighten me on the specific law stating (federal, state, or local?) how the law can discriminate one form of public transit (Metro) can ban eating and drinking but another form of public transit (Amtrak, Metrolink) does not. Either what you are stating is total sack of BS, or that it’s merely a Metro Policy as there are no such regulation against eating and drinking onboard Metrolink or Amtrak. And even if it were a law, the law is not absolute. Laws can be repealed and changed depending on whomever is running politics in Washington, Sacramento, LA County, or the City of Los Angeles, through the will of voters. It can also be heard whether they are unconstitutional or not through the judicial system. Are you saying that once laws are passed, then we can’t repeal it later? Perhaps we should then not have repealed the end of slavery, women’s right to vote, Prohibition, or passed sweeping reforms that killed off Jim Crow laws. Expect legalization of marijuana and marriage equality to be next, whether you like it or not, that’s the changes that are happening today. Of course, just because you were once a bus driver and worked at RTD/Metro for 31 years does not mean you’re an expert in everything that your words are somehow more credible than others. Obviously, you do not understand what technology is capable of today, what other transit systems there are in other places around the world, you’re clearly not a professor at UCLA or USC specializing in transit studies, not someone with a talent for entrepreneurial and IT skills like Steve Jobs, Bill Gates, Jeff Bezos, Sergey Brin, Larry Page, Mark Zuckerberg, or Travis Kalanick. Put it another way, just because you work as a general manager of a Foxconn factory in China doesn’t mean you have the skills that is needed to run Apple. Many of those running the MTA today have college degrees but no practical smarts as to how transportation is ran or should be ran. Art Leahy had the know how because not only did he have a degree but had been a bus operator at the RTD. He was terminated along with his wife shortly after the merger because those in charge, former LACTC employees felt threatened by them. Years later he was hired back as the CEO only to have his contract not renewed. It seems he stepped on to many toes and terminated to many worthless employees. I may not have a advanced degree but I do have experience and know what has worked and what hasn’t. All the bells and whistles may be great in some respects but many of them have slowed down service or caused service disruptions that the RTD/MTA never experienced previously. Fare boxes are a great example. When I operated a bus there were no electronic fare boxes and there were never any fare box failures. A simple way to collect the fares. Money is dropped in, operator counts it rapidly, clears the inspection plate for the next fare. Of course operators had to know how to count and it was part of the written test that remarkably some failed. If a bus ran low on fuel a Field Tech’s could bring out a fuel can with a electric fuel pump and the bus could be on it’s way back to the yard to be refueled. Now when a bus runs low on fuel it must be towed into the yard which could be hours instead of minutes. With the multitude of on board computers failures are more frequent. The TAP Card program was put together by someone with a degree but no transit smarts. I was among five managers attending a meeting with this individual outlining how it was to be implemented including Bus Operators selling TAP Cards. Now one must remember TAP Cards replaced Day Pass’s. And Day Pass’s replaced transfers. It was proposed by this individual that each Bus Operator when they signed on in the morning would be issued 20 TAP Card’s to sell to our passengers. 20 TAP Cards to last eight to ten hours during their shift. I immediately spoke up echo’d by the other four managers that was not enough TAP Card’s even for one trip. The so called back up plan where we were to be involved was to issue 50 TAP Card’s to each Road Supervisor so as they could distribute them to Bus Operators that ran short. We demanded more TAP Card’s be issued and more to be sent to our offices for distribution. The first day my supervisors issued over 1000 TAP Card’s to the Bus Operators working Westside/Central. The supervisors were kept busy the first weeks just issuing TAP Card’s which by the way were produced in China, not here in the United States. I know it’s against the law to Eat and Drink because the Sheriffs have a field day writing citations concerning that behavior and others. Everyone wants to have a pleasant ride. Being soiled by a spilled drink or food really ruins ones day. And it’s the MTA or other agency that is often held responsible for the damage. It just makes good sense to try and limit those kind of liability issues and keep the buses and trains as bug free as possible. I could go on and on about how actual experience versus a college degree when running transit is important. Also what works at other agencies may not work at the MTA. RE: computers, wireless communications, monitoring, dwell time, cleanliness, etc. A different perspective is that there are fine examples and first hand accounts of this working perfectly fine in the rest of the world without hampering the service of banning eating and drinking, without causing significant delays, all the while keeping them clean, keeping fares low without passing them along to the consumer, and being profitable at the same time. You don’t know what you don’t know, so if you don’t know how they manage to do it, then it’s not for you to keep making arguments that it can’t be done just to save face that you don’t know. No one is going to look smaller of you just because you do not know the answer to how the rest of the world is able to accomplish this, despite the background you have. All you have to do is admit that you don’t know what you don’t know, accept the fact that there is some way they are managing to do all this and leave it at that. Besides, you don’t work for Metro anymore. You’re not the one getting stuck with the answer how to figure out how to do this. That’s Metro’s problem now, not yours. Instead, you’re now part of the taxpaying public now, and it’s your turn to start asking questions why Metro is incapable of doing this when the rest of the world can. And not through the eyes of defending Metro, but through asking questions how they can do this. First of all, perhaps you might want to spend your some part of your retirement going to Asia, exploring new worlds and new cultures, and riding their transit systems and come back with your accounts how they do it. Who knows, it maybe an enlightening experience, considering that you already have experience as a bus driver, you may get to see how bus drivers in Japan, Korea, Taiwan and Hong Kong do things and it could be an eye-opener that you can share here what you saw that Metro could be doing. I never stated I knew how other agencies operate but I do know how the MTA operates and what has been some of the limitations they must deal with. I have attempted to explain the system only to be criticized. You know what you have observed but are unaware of exactly how the systems work and what other systems they must interact with. And what ever system is used it’s extremely expensive, takes along time to activate and often does not measure up as to what is being promised. The previous system was only partially installed before the contractor went out of business. The one being used now is approaching ten years old. TAP Cards in my opinion while being part of the newest bells and Whistles in my opinion have been a rip off of MTA passengers. I’m not aware of how this new ability to transfer from one bus to another without another charge but it still seems like a rip off to me when compared with the old Bus Pass which did not rely on electronics to be used. And again it takes longer to board passengers because each passenger must be processed individually rather they are paying a cash fare or a TAP Card. Prior to TAP Cards a passenger with a bus pass could flash it to the Bus Operator as they passed the passenger depositing their fare in the fare box. A cash fare was ten cents extra to transfer to another bus. Distance based fares is not a new concept in Los Angeles. I well remember them and as a teen knew how to avoid paying for the next zone as they were called. Vermont Ave. was pretty much the zone limit from downtown Los Angeles as an example. It would appear from the videos I have seen concerning TAPING On and TAPING Off in Japan passengers are much more patient allowing those desiring to alight to do so before those wishing to board. But can you visualize passengers in Los Angeles being that patient. Passengers pushing to get off via the front door while at some stops passengers attempting to board at the same time. One fare box terminal with passengers fighting to TAP their Cards. And while a terminal in the rear of buses works great in Asia I can guarantee you it would be inoperable within a couple of hours due to vandalism here. In the videos it portrays the passengers as being very polite. But my experience in Hawaii have been Asians pushing their way into and out of hotel elevators with disregard for others around them. You only know what you have observed. I know how the entire operation functions. And yes I am retired. I do criticize the MTA. And now I’m able to make alot of my opinions known and post them on this site that I was unable to do while still working there. My biggest problems are not bus related but instead about how they are building light rail and the outrageous amount of time it takes to build a line. A case in point that the MTA hates for me to point out is the time it took for Henry Huntington to build the Long Beach line as opposed to the time it took the LACTC to build the same line over the same right of way. It took Huntington six months to build it in the early 1900’s and three years to build the Blue Line. And one must remember Huntington was using horse drawn wagons sometimes as opposed to modern trucks now. A key difference is Huntington didn’t start at one end and build to the other but instead started at both ends and midway building in both directions. In addition, why don’t they interconnect the entire system so alternate routes can be created using existing trackage; i.e. Blue Line to Green Line; Expo Line to Crenshaw Line? And why each line has it’s own maintaence facility but no central maintenance to do heavy overhauls and upgrades much like the bus’s Central Maintenance Facility near the MTA Headquarters. Complaints about the time it takes to build things in modern times are nothing new. I think it’s also fair to point out that most things take a lot of time to build these days, not just transit and not just public facilities. The difference between old-timey times and today? Modern environmental reviews, funding streams (i.e. there’s not enough money to build it all at once), labor laws and labor pay (advances, I think), increased regulation, more prohibitions on night and weekend work, etc. Like many others, I’d love to see a way to speed things up. But I do think some advances were certainly for the better — particularly when it comes to worker safety. Serious accidents on Metro projects these days are the exception, not the rule. And one second or less is all that need to get my Uber driver’s location whereabouts, estimated time of arrival, insurance info, contact info, license plate number on the palm of my smartphone in a fraction of a second. Nope. And I use online banking exclusively every day. I don’t write checks, I don’t use cash, I don’t have paper statements, I do everything online. And have done so for the past 10 years and never had any problems with it. I charge my hotel bill in the far reaches of the earth, I immediately fire up my smartphone, check my account immediately and I see that it already charged my credit card and has converted into US dollars for me so I can jot it down to submit to my employer. This statement alone shows me that you know nothing at all about current smartphones that they have GPS in them and that is what is being used to call Uber and Lyft these days. I take it from your past statements that you still use a flip phone so you probably didn’t know that. Nothing more different than a tracking app. Basically the same stuff that gets transmitted automatically to the manufacturer when something goes wrong with one’s smartphone. All of what you have said are not gee-whiz eye-popping space age stuff. They’re all doable and is being done today by the billions of people who own smartphones and tablets all over the world. Regarding the statement about TAP cards and fareboxes, I agree with you that it was botched. But where you and I disagree is that I think Metro did make the right choice in getting rid of mechanical cash fareboxes and moving towards contactless payments. Handling cash is expensive and it slows down the system because people want to use pennies, wrinkly old bills, “how much is it,” so on and so forth. Many countries around the world have moved to no cash fares for buses and moved toward contactless payments. You say TAP is slow, I say cash is slower. TAP is 500ms or less, that’s the industry standard of how fast it must be able to read the data off of a contactless card. Where Metro blundered is, if what you say is true that they only issued 20 TAP cards per bus driver, then they did not hire consultants who held college degrees AND also having experiences in running a system based on contactless cards. The whole TAP fiasco would’ve been avoided if they just contracted some Japanese or Korean mass transit consultant (most likely with an advanced degree) who have been already running the Suica or T-Money card system. I could careless where it’s made. Nothing much is Made in the USA anyway. Unless you can prove other wise, rear door terminals seems to be working perfectly fine in San Francisco, Boston as well as the recent tests in LA which allows for rear-door entering (henceforth, the need for rear door terminals). So you can’t say “it works in Asia, but not here” with “here” being both LA and other parts of the US. The streets are bad in LA is because so much of our tax dollars go into running Metro that little is left to fix our crumbling roads and uprooted sidewalks. If Metro can figure out ways to make more money on their own, then that would mean that much less in taxpayer money to be spent on running Metro and more taxes that can be redistributed to fixing our roads and sidewalks. If Metro needs $5.5 billion a year from taxpayers to run Metro, they can find ways to find how they can come up with $1 billion on their own so that $1 billion can go to fixing crumbling roads and uprooted sidewalks. Charge parking fees, add retail space, fix fare evasion problems, move to a more profitable fare structure, figure out ways to reduce your overhead, slash union benefits, stop wasteful spending, do whatever is necessary to gain more revenue. There are three half-cent sales tax increases approved by voters — and that money goes to Metro and some of it goes back to cities and unincorporated areas for a variety of transportation projects. With the exception of state highways and freeways, cities are responsible for the state of their roads. And cities can certainly fund that as a priority if they so choose. That said, sure Metro (and all govt agencies) would like to increase revenues, if possible. That would certainly lessen the burden of finding funding in other places and free up funds for other programs. Again, I don’t agree with the premise that funding Metro means not funding street repair in many cities. You will never see union benefits slashed. With three or four unions on the property a strike by one would shut down the system. Plus the politicians have been bought by these unions and are beholden to them. NYCMTA once had a large strike that shut down their entire system in the past. All it did was create dollar vans, private enterprise taking over the job that government could not. Today, we have Uber, Lyft, and Sidecar. If Metro employee unions go on strike, the likely outcome today is that Uber, Lyft, and sidecar will immediately pick up the services that Metro can’t provide and go at it with cut-throat competition. The death of unions is already happening. There’s a reason why union membership is declining in the private sector and there is a big move toward right-to-work laws in many states, California included. Oh you might say there’s no chance in heck that California will pass right-to-work legislation, but the SCOTUS just took up the case Friedrichs v. California Teachers Association which may end up killing off the power of public employee unions here in California. Bet you didn’t know that? I’m sure every government employee in California must be terrified of this, especially considering the judicial make up of the SCOTUS is 4 liberal, 4 conservative, and one swing, so anything can happen to this soon-to-be landmark case. If it the SCOTUS decides that the California’s laws are unconstitutional and that mandatory fees violates the First Amendment rights of workers, it can seriously weaken the powers of public sector unions. Besides, Democrat politicians today face problems whom to side with among their two biggest constituents: unions and Millennials. Unions hate technology that end up taking over their jobs. Millennials on the other hand, loves technology. Democrat politicians has to choose one way or the other: keep catering to the demands of the unions, or the next generation of voters, the Millennials, who are now the largest generation today as the Baby Boomers start dying off. You see that today with the rift between taxi cab unions who demand Democrat politicians to do something about Uber and Lyft, yet they can’t do much as the Millennials love Uber and Lyft. Common mistake often made by those who can’t get their terminology right. If it has zones, then it’s not a really a 100% distance based fare system. They specifically separated the fare system into three categories: flat rate, zone-based, and distance based. Zonal systems are a half way point between flat rate and distance based fares. Translink Vancouver, London Underground, and Amsterdam come to mind as examples of a zonal based system. Zonal systems are more “closer” to distance based fares, that in which fares within the zone pay a lower fare and crossing zones pay more, but having zones also has the pitfall of suddenly paying a higher fare once you make a short trip across a zone. So you pay more between Wilshire/Normandie to Wilshire/Vermont despite the distance between them isn’t much different between Wilshire/Western-Wilshire/Normandie or Wilshire/Vermont-MacArthur Park. Those are the musings of a zonal based system. Granted, it is better than a flat rate system, but since the agency or operator has to draw a line somewhere to create a different zone, it’s still not perfect solution. Obviously, no one living in Koreatown will want to head over to the Vons on 3rd/Vermont because it now crosses 2 zones. A true distance based fare system means that there is a value attached to a distance. Places like Hong Kong and Singapore uses X per kilometer rate, no zones. How much is it to travel per mile (or kilometer in the rest of the civilized world). A mile is a mile, regardless whether you’re in the zone or crossing over two zones. I think the one thing consistently lost in these endless discussions of distance-based fares is that the Metro Board and Metro staff decided to pursue a relatively simple fare system in order to encourage ridership. I think that’s a perfectly legitimate policy decision and, as I have said in the past, I don’t think a distance based system is a panacea, although it certainly has some advantages. Besides, I really don’t see a simple fare system encouraging ridership. If anything, the latest statistics show Metro’s ridership falling and our freeways are still jammed packed with bumper-to-bumper traffic everyday. That being said, “a simple fare system” does not necessarily mean it’s a panacea either and that it doesn’t have their own pitfalls. One can point to New York and San Francisco’s constant fare increases as a sign that it’s not going to work in the long term as opposed to the relatively stability of fares of Hong Kong MTR for over two decades. All things considered, what the people really want is stability in fares and would learn to accept a little more “complex” distance based fare structure (whether paying by the distance is so maddeningly “complex” is really on the eyes of the beholder) over an “easy” flat rate fare system that is more prone to fare hikes every so often. The intent behind the fare system was to keep it simple to encourage ridership. We’ve discussed the dip in ridership before and I don’t think it has much to do with fares besides the crackdown on fare evasion and perhaps the fare change of 2014 turning off some riders. You picture buses in Asia that are CNG powered but that does not mean the entire fleet is powered by CNG. 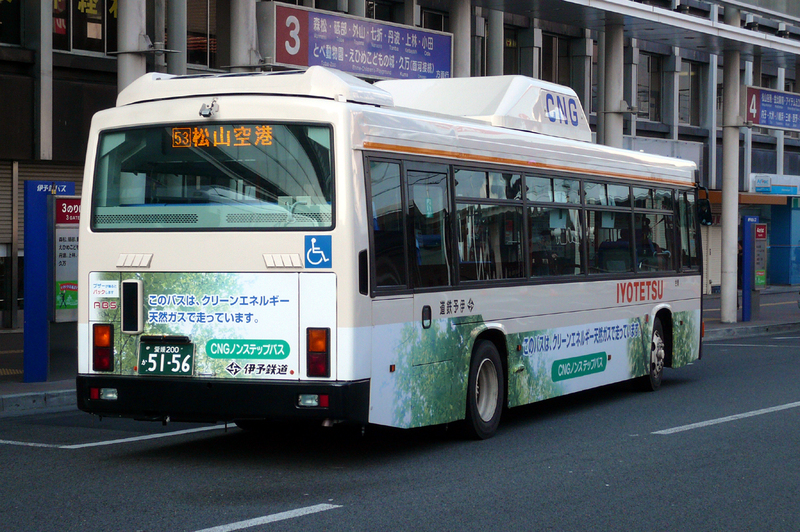 In fact one bus pictured stated it was the first CNG bus. I’m not sure about total passengers transported vs allocation of tax revenues but the breakdown was that although the RTD/MTA transported 85% of the bus riders in Los Angeles County they only received 60% of the tax revenue. This was so the smaller agencies; i.e. Santa Monica Blue Bus, Culver City, Long Beach, Foothill, etc. could not maintain their lower fares and operation based on the number of passengers they served. In addition while many call for a seamless bus network what is happening is the smaller cities are again forming their own transit agencies. We see Glendale, Pasadena and others duplicating in some instances MTA and other agencies lines and routes. This dilutes the monies available to the MTA to run their vast bus system. Lastly, if you truly believe it’s faster now to load passengers using electronic fare boxes as opposed to the old mechanical ones you are very misinformed. Your example of someone stuffing a dollar bills in the old ones was a rareity and is the norm with the new ones. Dollars bills being used to pay fares is one of the causes of extended dwell time. Yes, nitpick everything just to prove your point. We could go on forever with you making the wildest of remarks while not showing a single proof, factset, or data (which by the way, under common law, the person who said it has the burden of proof to show that what he/she says has credibility) and be b-slapped with a simple Google check. 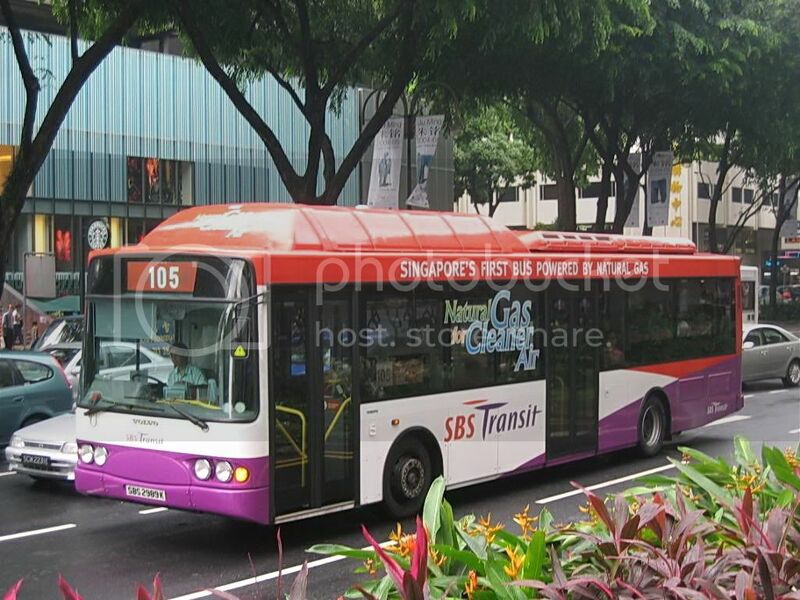 Your argument fails in that Singapore ordered their first CNG bus back in 2002, which is 13 years ago, whereas Metro only became 100% CNG back in 2011 which was 4 years ago. We can go on discussing how places like South Korea are actually replacing CNG buses with all-electric bus fleets which is even more technologically advanced and would require “massive amount of computing” than compressed natural gas. 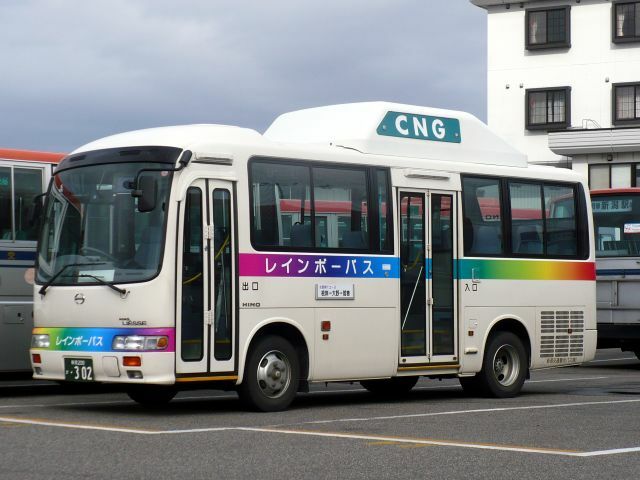 We can go on and discuss that the largest manufacturers of CNG vehicles also happen to be Isuzu, Mitsubishi, Hino, Nissan, Mazda, and Toyota, which are Japanese automakers and Japan’s buses would be buying from Japanese manufacturers. So on and so forth. But the truth of the matter is that none of this matters jack. 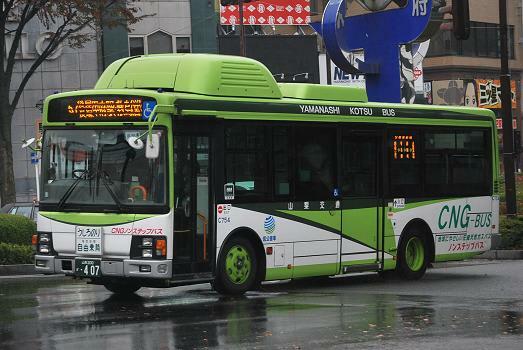 The fact that I just showed you Japan, South Korea, and Singapore does run CNG bus fleets, some being converted to all electric, and are perfectly capable of handling distance based fares on buses is fine enough at it is to debunk your wildest claims that it’s impossible to do because of “so much data” running concurrently with a CNG bus fleet (however small or large). Seriously, give it a rest. The more you keep at this, the more childish your arguments sound, trying to find any singular fault just to prop up your small little pride that technology doesn’t work and everything still works fine if we kept doing things like in the 1950s. Oddly, somehow there is a big doubt cast upon you that you, a single person, with a credentials of a bus driver. knows a lot more than transit operators from Boston to San Francisco, from London to Amsterdam, from Hong Kong to Tokyo (an all inclusive sample from transit agencies in the US, Europe, and Asia) who have all moved to contactless payments for transit, all who run far more transit riders than LA. Again, the burden of proof lies on you to show me your data that you somehow know more than SF MUNI, Boston MBTA, Transport for London, Seoul Metro or HKMTR that mechanical fareboxes are better than contactless payments. Comments on this post are now closed due to lack of civility among our commenters. I will do this more frequently if the regular commenters — many of which are anonymous and, thus, not really accountable for the things they write — continue to address each other instead of the issues.